EUR 1 million (around CHF 1.165 million) will be provided to the WTO’s Doha Development Agenda Global Trust Fund, which finances training workshops for government officials to help them better understand and implement WTO agreements and enhance their negotiating skills. Since the creation of the fund in 2001, over 2,500 workshops have been organized. EUR 0.5 million (around CHF 580,000) is to be contributed to the Standards and Trade Development Facility (STDF), a global partnership aimed at helping developing countries comply with international food safety, animal and plant health standards and access agricultural markets more easily. EUR 200,000 (approximately CHF 230,000) of Finland’s contribution will go to the Trade Facilitation Agreement Facility (TFAF). The Facility was created at the request of developing and least-developed country (LDC) members to help ensure that they receive the assistance they need to reap the full benefits of the Trade Facilitation Agreement (TFA) and to support the ultimate goal of full implementation of this Agreement by all members. 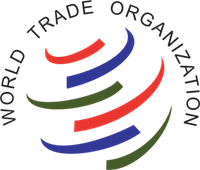 The Facility was formally launched in July 2014 by WTO Director-General Roberto Azevêdo and became operational in November 2014, when members adopted the Protocol of Amendment to insert the TFA into Annex 1A of the WTO Agreement. 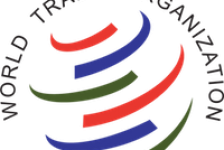 The TFAF helps developing countries and LDCs to assess their specific needs for implementing the Trade Facilitation Agreement and to identify possible development partners to help them meet those needs. Overall, Finland has donated approximately over CHF 15 million to WTO trust funds over the last 17 years.